Each prophet was sent only for his respective nation except the last prophet, beloved Prophet Muhammad ﷺ who was sent to the entire world. The Holy Quran, the scripture which was revealed to him, is also Almighty's last testament and it is the message for whole world. It is the Islamic belief that the first man Adam (Peace be upon him) is the first Prophet and beloved Prophet Muhammad (Peace be upon him) is the final Prophet. 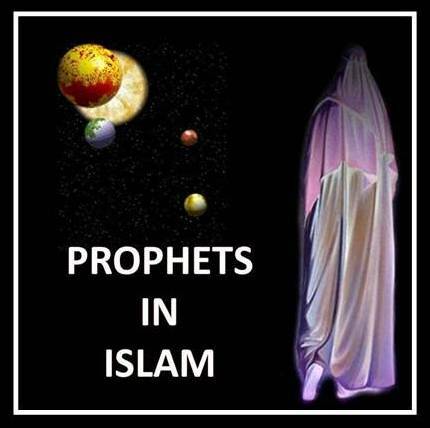 It is said that Allah has sent almost 124,000 Prophets to the entire world. However, 25 names of Prophets have been mentioned in Al Quran. Always when the name of beloved Prophet Muhammad is written or pronounced, salawat should be written or called along with it. That is, "Sallallaahu Alaihiwasallam (Peace and blessings of Allah be upon him)" should be written or called followed by his name. It is compulsory. Further, when other Prophets name are written or called, "Alaihissalam (Peace be upon him)" should be written along with their names.